Olympics arrive early at saltash.net community school! 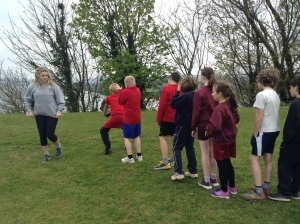 On Thursday 21st April over 220 children from the Saltash partnership primary schools, including St German’s, Sir Robert Geffery’s, St Stephens, Landulph and Burraton, attended the aptly named Olympic themed sports festival held at saltash.net community school. It was a dry but rather cold April day but this did not deter the enthusiasm of both the participants and sports leaders who ran the event. It was the responsibility of the year 13 Higher Sports Leaders to organise and deliver this event with the help of the year 12 Community Sports Leaders. 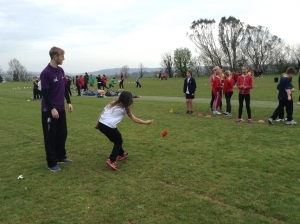 The fun activities were based on throwing, running and jumping representing the main Olympic athletic events. The teams comprised children from different schools and they competed, each representing a different country, with China achieving the gold medal position. Events included a wellie throw, water race and obstacle course. It was a very well organised event which ran smoothly with the children experiencing competition within a positive Olympic atmosphere.